This company is using intense amounts of logic (which requires almost no resources) to create a major shift of energy production away from fossil fuels towards cleaner methods like photovoltaics and fuel cells. We use deep cradle to grave Life Cycle Analysis of the Transverter to maximize beneficial environmental impact and promote Green Engineering. Financial benefits are created to motivate the move to greener energy management. The net effect will be less pollution from fossil fuels used for energy & materials, less aluminum and copper mined and less total energy used directly & for manufacturing & transportation. This is a realistic step moving renewable energy into the mainstream supporting existing systems. What we are proposing is the real smart grid, one house at a time, providing autonomous smart nodes, implementable today, integrated Renewable Energy, demand response, data acquisition, advanced metering, end to end communications, power quality control, energy security, community energy storage, a living system, evolving and adding applications over time. There is nothing else that has been proposed which comes close to these benefits, particularly considering that this can be implemented immediately for a minimal cost that can easily be financed. Read this detailed paper Transverters for Residential Solar & Microgrids This gives a home perspective. To get the Grid's perspective read Grid Solar Orchestra. Is a certification that proves your credibility to the market. To deliver that credibility, Intertek maintains extensive global accreditations and recognitions for our testing and certification services. The Transverter HT2000 with the HTREM are listed with ETL #4009679 for UL 1741 and CSA C22.2 No. 107.1. It is also listed with the California CEC and Hawaii's TOV. 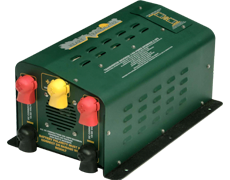 Heart Transverter has booth #SL8 at the entrance to the MicroGrid section at Solar Power International in Las Vegas, NV September 13-16. Check out our unique approach in the Transverter MicroGrid Presentation. Heart Transverter created a house with the roof covered with solar Panels for Solar Power International 2011. This was located at an outdoor exhibit and had two fully functional operating Transverter systems. This complete system is the Key to Infinitely Scalable Solar with Local Integrated Energy Storage combined with Automatic Demand Response & the Smart Grid with Autonomous Energy Security. The idea is to replace the old, two value, solar equation (energy produced + government handout) with a fat equation with very many values like UPS, Energy Security, Smart Grid, Energy Storage, Islanding, Power Factor Compensation, Surge Assist & Demand Response. 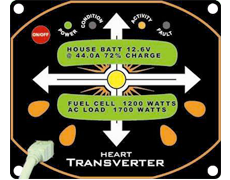 Lot's of action at the Heart Transverter booth at Solar Power International in Anaheim, CA September 15-17, 2015. There were 600 companies exhibiting and they had 15,000 attendees. Basically, everyone in the Solar industry was there. 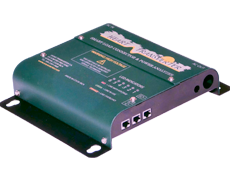 The Transverter T13X is a major differentiator bringing Solar past just adding Energy Storage and adding Automatic Demand Response coupled with real time analysis of the entire electrical service to the building.